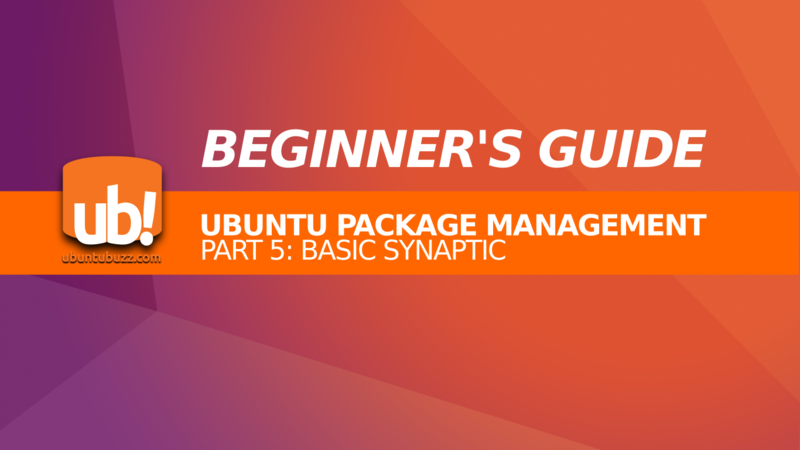 This beginner's guide Part 5 explains how to use Synaptic Package Manager, an easy to use GUI program to manage software packages. Synaptic is a replacement to Apt-Get command line for casual end-users, it provides complete options in simple and user-friendly manner. By using Synaptic, you can do easy sources.list editing, proxy + auth setting, install/remove/upgrade package, and so on. And this guide is a continuation of Part 4 PPA & Third-Party Repository. I hope this will be easy and useful for everyone. In other words, Synaptic will never do install/remove/upgrade package unless the user explicitly decides the action(s) to do. Synaptic is safe to use even for complete beginners. 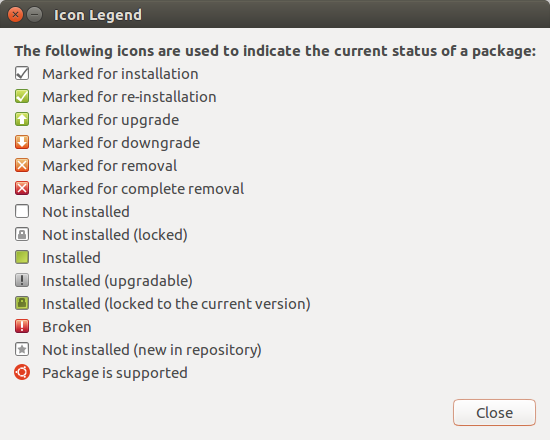 The term "Reload" means downloading the "repository maps" mentioned in your system sources.list. 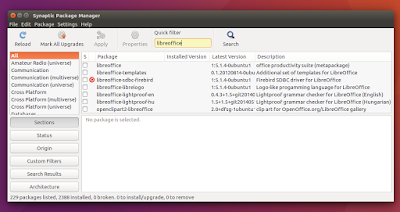 Reload is just the same as $ sudo apt-get update command. To do it, press Reload button. 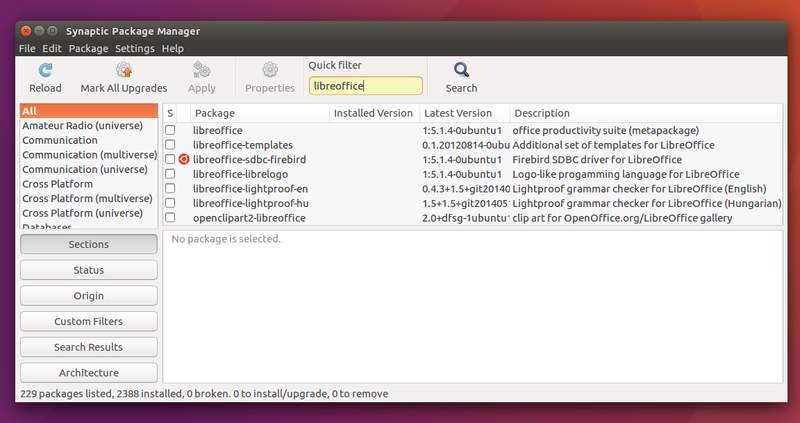 To search a package, type your keyword on the "quick filter" search bar. If you don't see this search bar, click "Search" button. 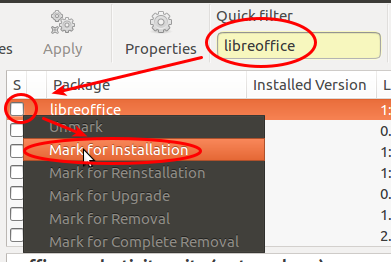 To install package, search for a package > click on white box on the left of the package name > select Mark for Installation > press Apply button. 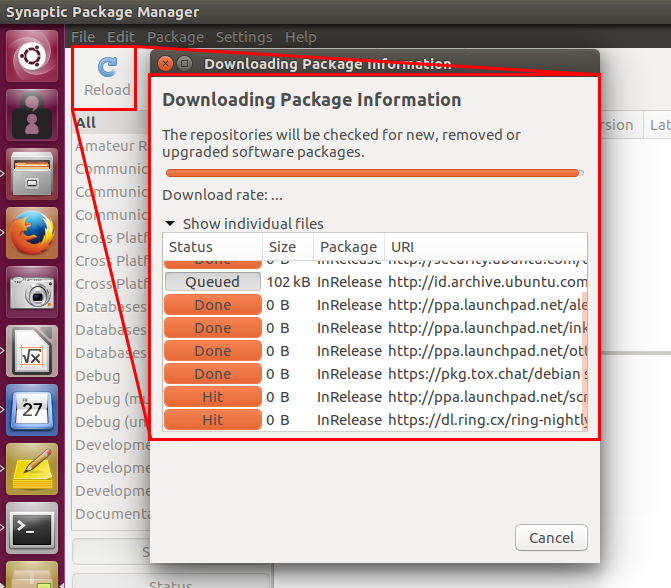 You may mark more than one package and apply them to be installed simultaneously. 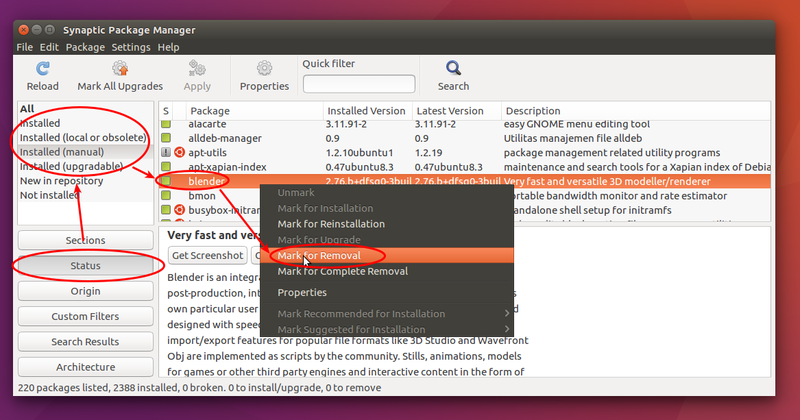 To uninstall a package, enable left-panel filter "Status" > search a package > choose any of "Installed" statuses on left-panel > click on the green box on the left of package name > select Mark for Removal > press Apply button. You can mark more than one package to remove them all simultaneously. 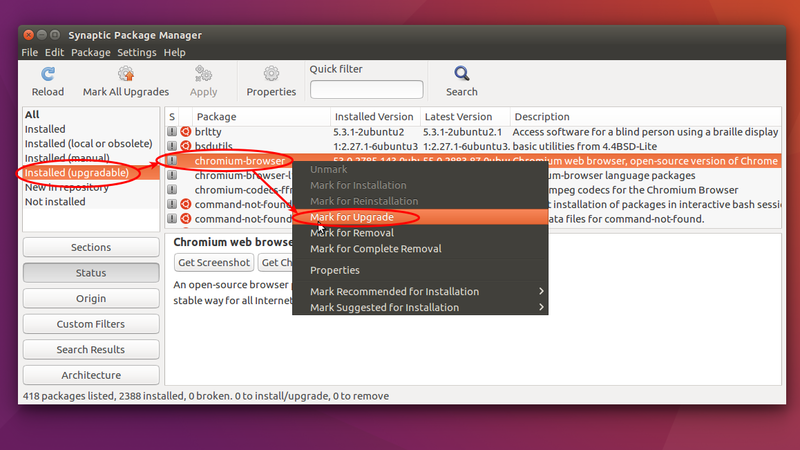 To upgrade package, enable left-panel filter "Status" > choose "Installed (upgradable)" status > search a package > click on grey box on the left of package name > select Mark for Upgrade > press Apply button. Synaptic provides repository setting from menu Settings > Repositories. There you can control your sources.list in an easy GUI way. 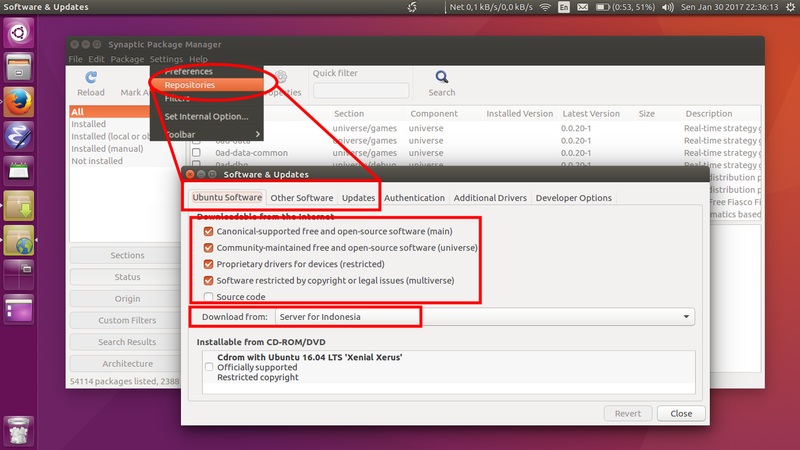 To change proxy setting, you can visit menu Settings > Preferences > Network. There you can determine your proxy address and your authentication credentials (username & password). 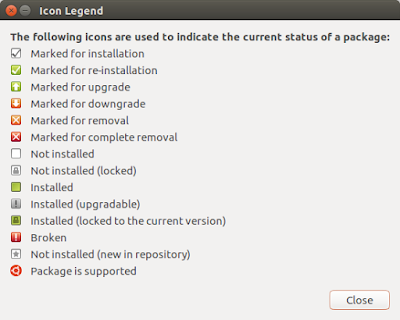 You can show the explanation of all Synaptic icons from menu Help > Icon Legend.